It’s hard to imagine life without Neopolitan pizza. 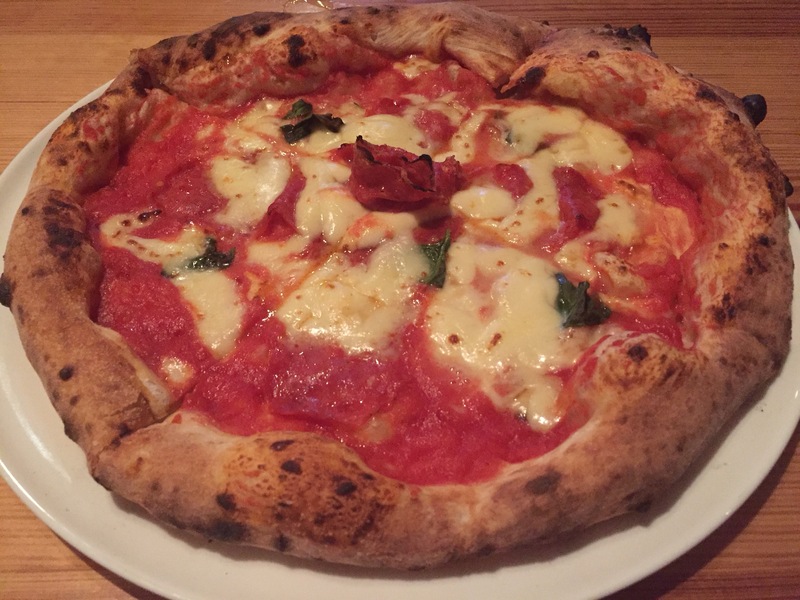 Lucky for me, this style of pizza is popular all over the Bay Area so I don’t have to travel to Naples, Italy to enjoy it. In my eyes, to master this pizza you would need a wood burning oven, authentic flour to produce a light chewy dough, and fresh ingredients including a high quality tomato sauce. 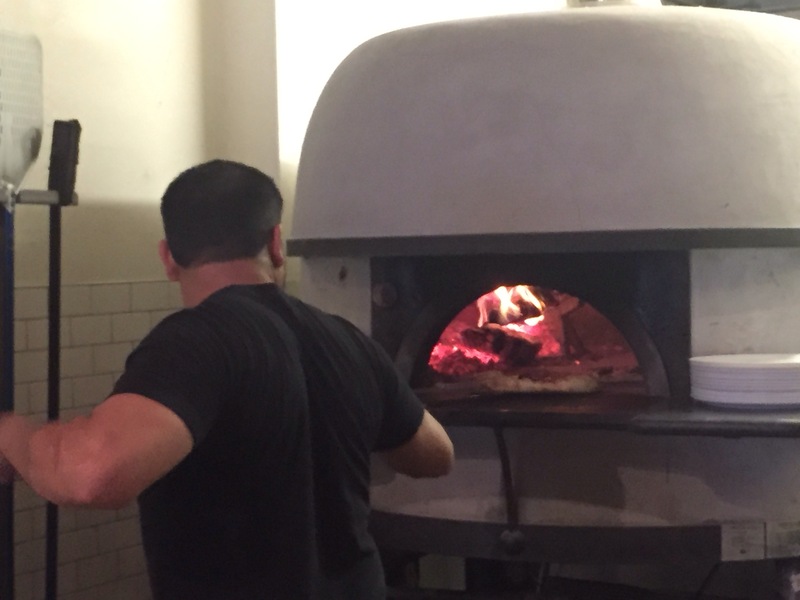 Lucia’s Pizzeria in Downtown Berkeley opened late last year and serves Neopolitan pizza. I was invited to dine there a couple of months ago with a friend. 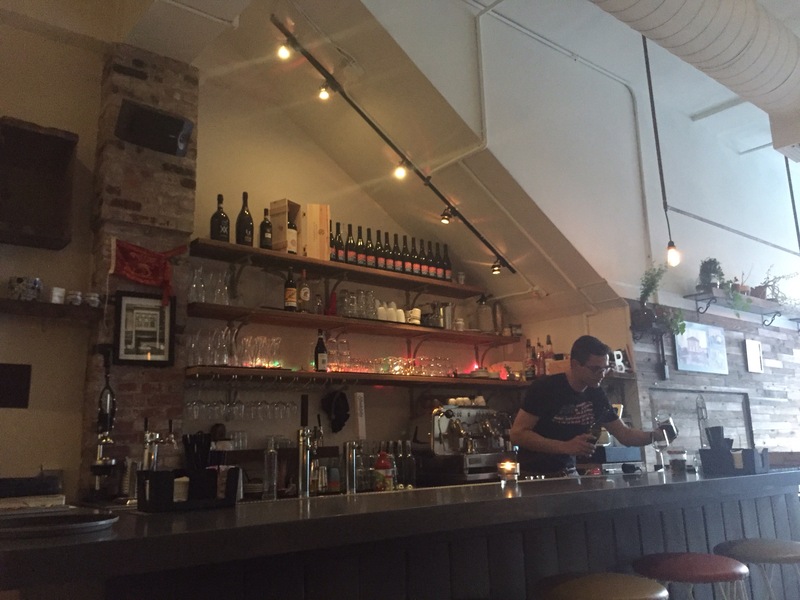 We met with co-owner Alessandro Uccelli and his wife Elizabetha who were friendly and hospitable as soon as we walked through the door. 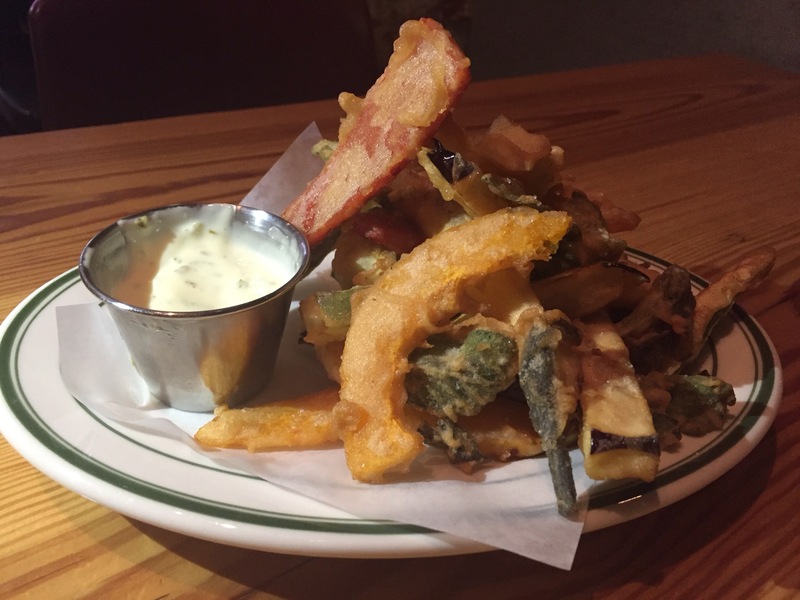 We started with the Vegetarian Fritto Misto with lemon mint aioli. Fritto misto translates to mixed fry and is essentially the Italian version of Japanese tempura. Lucia’s version includes zucchini, eggplant, cauliflower, sweet potato, red pepper, and sage leaves. The batter was coated well to keep a solid crisp on the vegetables. The assortment of vegetables provided a fun way to start the meal. 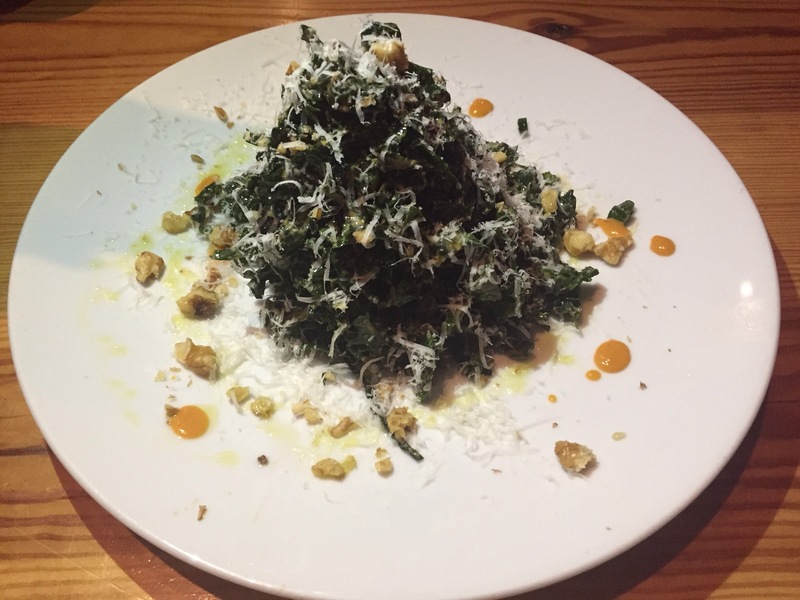 My friend and I agreed to share the Kale Salad which had very few ingredients – kale, walnuts, and pecorino cheese. It was dressed with lemon juice, olive oil, and a hint of sriracha. I thought the salad was a nice companion with the fried vegetables. I enjoyed the simplicity and the nutty flavor. 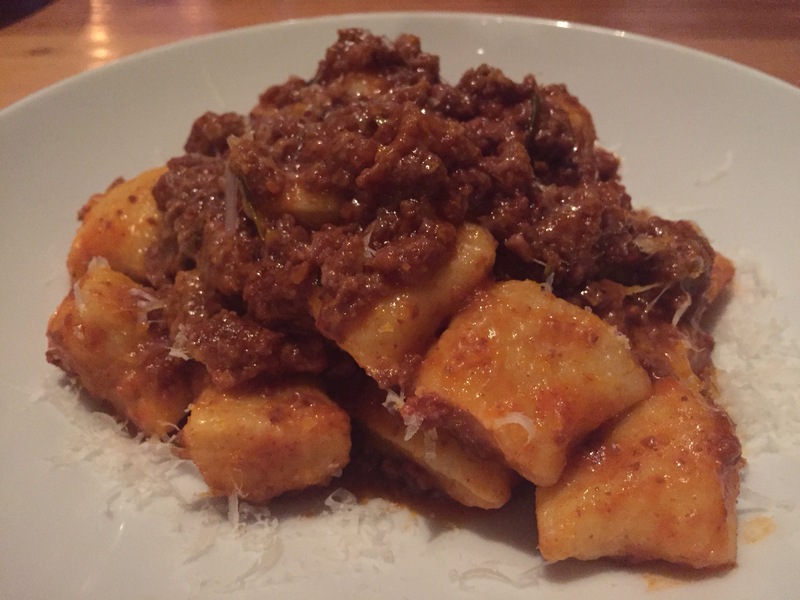 The pasta of the day was Gnocchi Bolognese. Elizabetha made the pasta and Alessandro made the sauce bringing together a rich and hearty combination. These handmade potato dumplings were truly a family affair. Of course we had to order a pizza. We ordered the Lips of Fire, which is a basic Margherita pizza with added toppings of hot soppressata, ghost peppers, and maple syrup. Taking about 70 seconds to cook in the wood burning oven imported from Naples, the pizza came out with signature blistering bubbles. The flour and tomatoes they use are from Compania, Italy. Biting into a slice, I enjoyed the flavors and heat. As I the neared the end of the slice, I was delighted with the soft chewy texture. That’s amore! For dessert we got the housemade cannoli with ricotta and chocolate chips. It came out room temperature and I think if the filling was colder I would’ve enjoyed it much more. 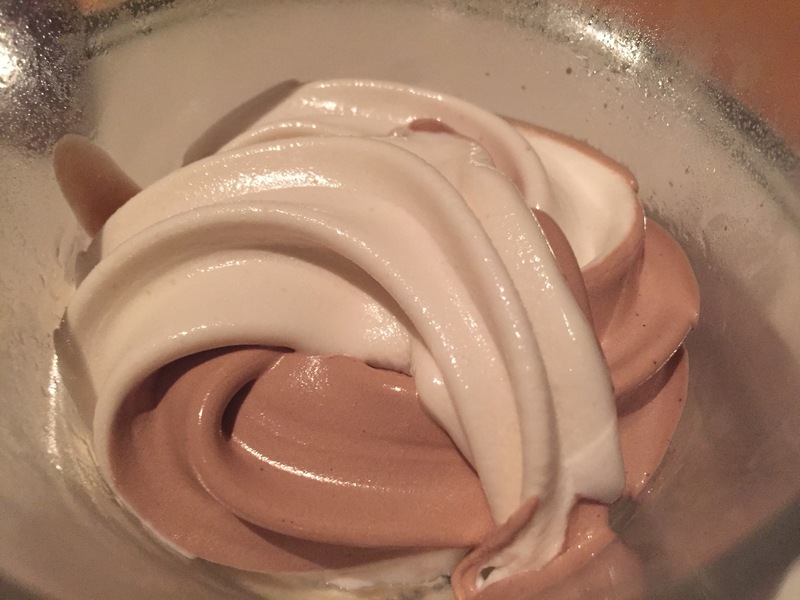 Lucia’s offers Double 8 Dairy, a local buffalo milk gelato made in Petaluma. I asked if I could have a small taste of it and it was absolutely delicious. I visited their website and am impressed by their list of restaurants that serve their gelato. Lucia’s is a pizzeria with heart. 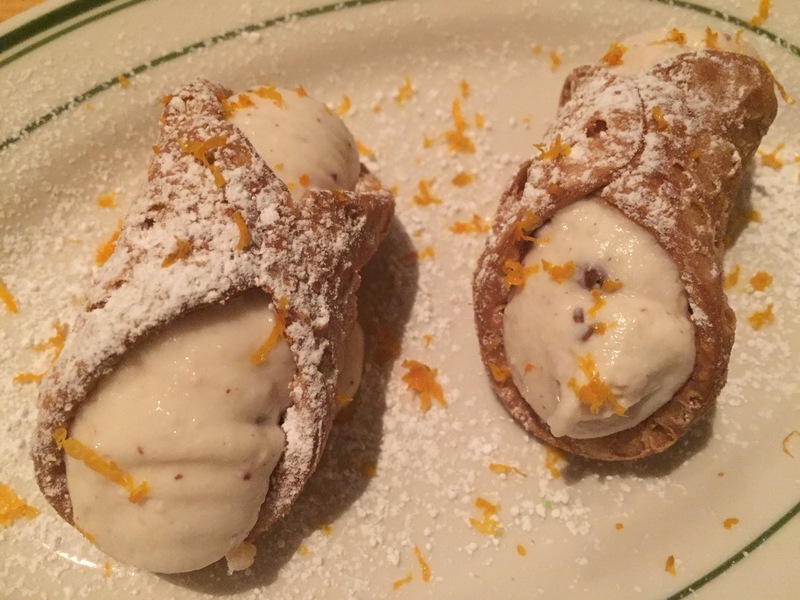 The owners are genuine and that shows in the food, service, and the overall experience.